In the last few days I’ve been thinking;. What can the “broader church” do to help bring peace? 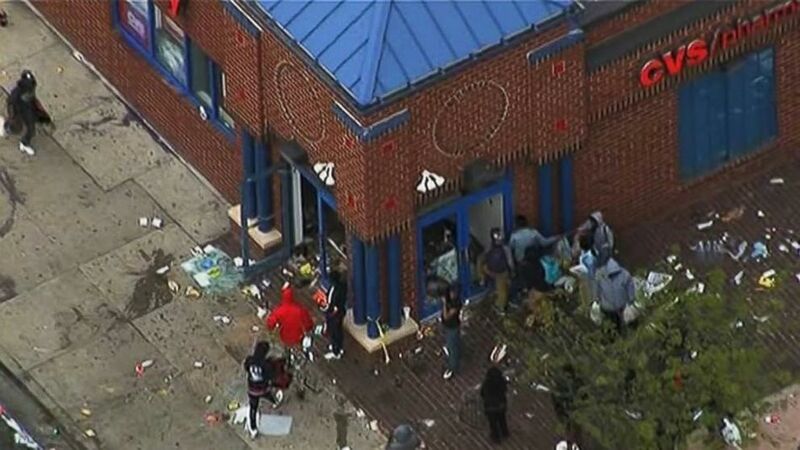 I know, churches in Baltimore can use resources; money to clean up and expand services. But besides a special offering, what can the average church across America really do to bring peace? Is it not enough that charges have been filed against the officers? While it is great news that the death of Freddie Gray is being taken seriously, conviction of a few police officers will not change the culture of America where the divisions of race and class, tied to cultural isolation, create polarization and blame. There a great need for the Church to step from the shadows of American-whiteness, which defends the power of the state, and into the shadow of the cross which draws all humanity together in the suffering of the Christ to lift the bonds of oppression. Here are three things any church can do if they want to follow Jesus in seeking justice and love to others. Acknowledge what has happened. As I see America, I believe the “broader Church” does not think this is a problem they need to be involved with; and that is at the heart of the problem. I’m talking about the millions of churches in small towns and suburbs from Miami to Seattle which are predominately white. Most of the people (and many of the Pastors) of these churches believe that this is just a “black problem.” The prevailing thought is that the recent months of social unrest from Ferguson to Baltimore is caused by “liberal media” and “black violence” and thus it has nothing to do with them. Don’t be simplistic in laying blame. This is a complex issue and to see it as having any one cause will put the blame one group disproportionately. It is too easy to say it is all the fault of “thugs with no respect for authority” or “racist cops who abuse their authority” Both played a part in the violence of the last week; yet neither accurately reflects the police or the protesters and community. However in a society ruled by law, abuse of power by those appointed to uphold our laws is a serious breach of our social contract. Backlash to an abuse of power should be expected. No one condones violence and looting yet these actions do not occur in a vacuum. 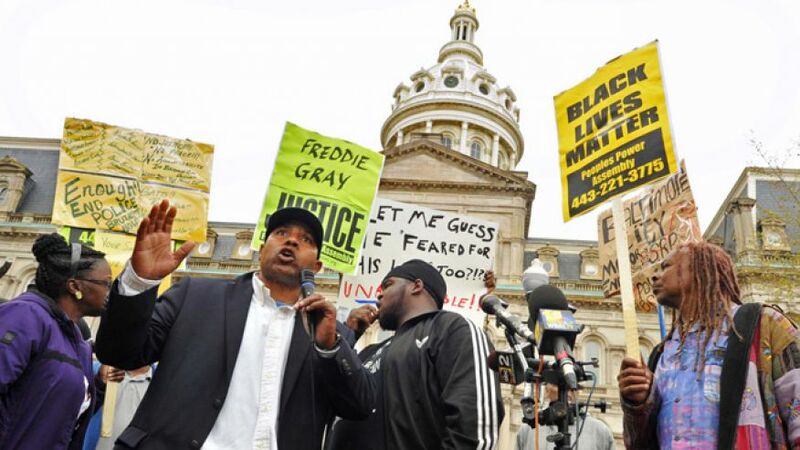 What happened to Freddie Gray, we are told by many in Baltimore, is normal expected behavior by some of the Baltimore PD. Yet, even as an independent investigation is concluding and charges have been filed by the City Prosecutor, many are attacking her authority, defending the police and try to confine this complex drama into their liberal/conservative theaters. Evil and good exist in the heart of all, even in me. Yet, it is natural to see only the evil others, especially those unlike me. It is impossible to see evil and good in places unexpected if one never attempts to view to world from a different place, or at least listens to those with different experiences, from a different culture or perspective. When I first moved to Minneapolis it was difficult for me to believe that police would misuse their power, could have racist motives, or treat some people with less respect than others. 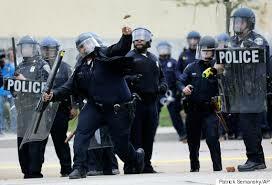 I had never experienced such injustice and had been raise to believe the police embodied justice and fairness. To me these injustices did not exist because I could not see nor imagine them. But gradually as I listened to friends of various races I had to confront the ugly truth that my experiences with the police were quite different from theirs. Not because I behaved differently, but only because I looked differently. We cannot know the reality our sisters and brothers from other places, cultures or races experience – however. by respectfully listening we can begin to glimpse worlds we have not ourselves experienced. Teach biblical truth: God cares more about justice than upholding social order. If you disagree, re-read the Bible. Every time there was extreme injustice; from Babel to Egypt to Jerusalem, God allowed the social order to be destroyed so that justice could be restored. Note that God did not say to Moses, “the suffering of my people in Egypt no longer matters because YOU killed an Egyptian. No, God’s means for deliverance was through the same human who passionately reacted against the oppression through criminal action. Perhaps it was because Moses cared so deeply God chose him to lead the liberation, even though he was flawed, even though in his youth he reacted with violent passion, God sent Moses back to pharaoh. Social order was destroyed, but the oppression was lifted. He also witnessed injustice and reacted with anger. 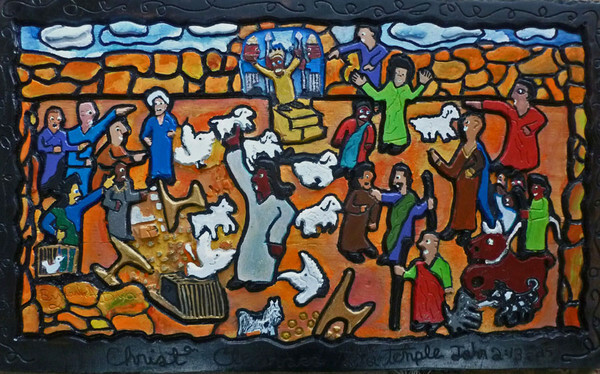 He made a whip from cords, drove out the money changers and over turned tables in the temple. The outer court of the temple; which was to be “a house of prayer for all nations” had been converted into a market place where poor worshipers were told their offering had a blemish and thus could not be sacrificed. However at an inflated price they were being sold “perfect” sacrifices ones that had possibly been taken from worshippers early in the day . Jesus was angered at greed, spiritual abuse, and fraud that was inflicted most severely on the faithful poor, who were powerless to confront an abusive system. Read more about it here. Many who claim to follow Jesus do not like to think of him as being “fully-human” when it comes to such actions involving anger and even violence. Yet scripture teaches us, Jesus “… has been tempted in every way, just as we are—yet he did not sin.” Hebrew 4:15 Is it possible the cleansing of the temple was in part to teach us that anger against oppression is just and right? I do NOT use these examples to justify physical violence. But to make the point it is a normal human reaction in the face of oppression. In both of these cases (Moses and Jesus) the anger was targeted at the oppressor and was NOT in defence of one’s self (Moses or Jesus) but was in defence of those with less power; the “defenceless.” True; violence will only result in more violence and so the desired course of action is what Jesus demonstrated in going to the cross where the innocent suffered for the guilty. My personal trials have also taught me the value of unmerited suffering. As my sufferings mounted I soon realized that there were two ways that I could respond to my situation: either to react with bitterness or seek to transform the suffering into a creative force. I decided to follow the latter course. Recognizing the necessity for suffering I have tried to make of it a virtue. If only to save myself from bitterness, I have attempted to see my personal ordeals as an opportunity to transform myself and heal the people involved in the tragic situation which now obtains. I have lived these last few years with the conviction that unearned suffering is redemptive. There are some who still find the cross a stumbling block, and others consider it foolishness, but I am more convinced than ever before that it is the power of God unto social and individual salvation. ML King Christian Century 77 (27 April 1960):510. Yet even in suffering; demonstrating non-violent non-cooperation with evil, Jesus initiated a social revolution. Dr, King followed in this example, and that is exactly what 99% of the protesters in Baltimore demonstrated last week, through peaceful marches, meetings, prayers and songs. 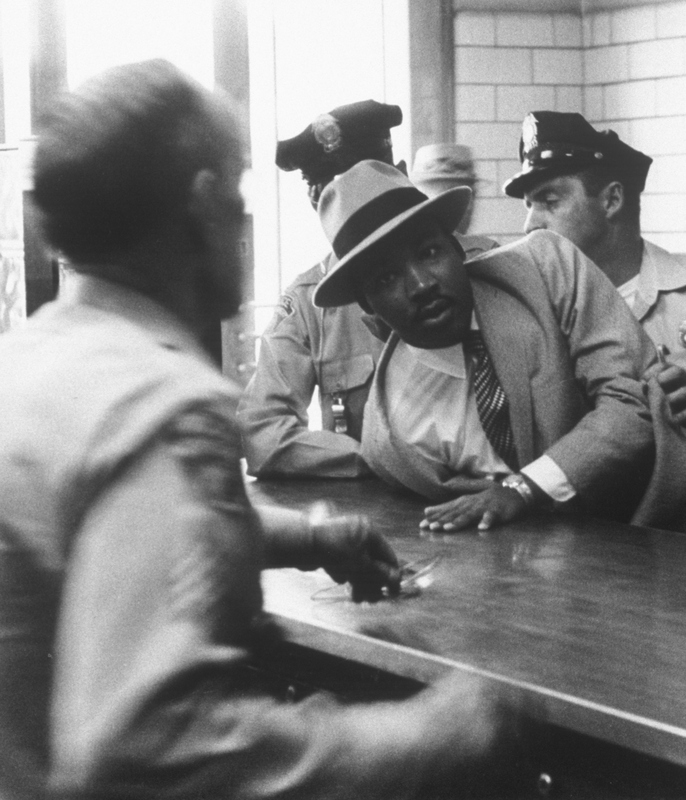 It is easy to try to preach to the oppressed about the need for non-violence while sitting in a place of comfort and power. Yet it was Moses and Jesus (persons with power) who show us this example; I would contend non-violence and non-cooperation are tools for social transformation we must embrace personally, before preaching it people living under-oppression. 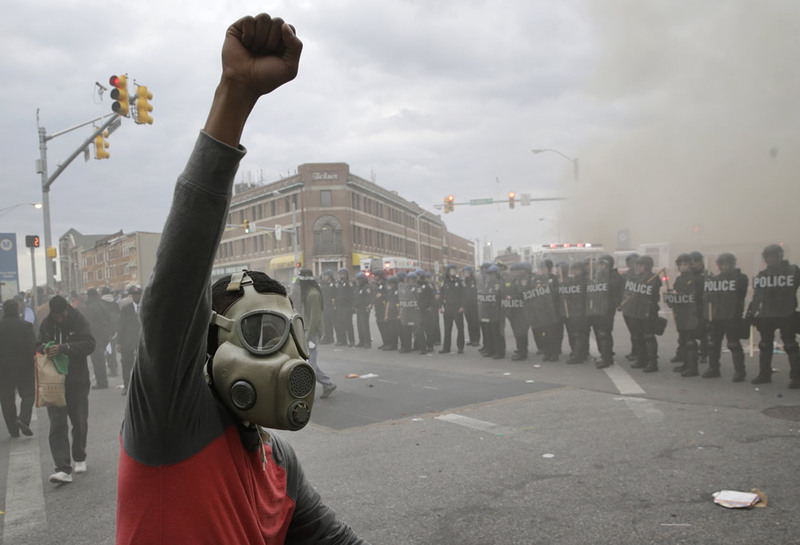 There is a role for the Church to play in ending the crisis in Baltimore and the problems surrounding the practices of policing in our country. Finding the role of your church begins with acknowledging there is a problem, listening to those who encounter it, and seeking direction in biblical counsel.